1,500 will taste the unique bounty of the Sierra Nevada! You will receive a $50 stipend for your participation in the festival. Participating establishments must provide adequate product samples during the entire tasting portion of the event (12pm-4pm). Attendance is expected to be 1,500 people. Requests and preferences for booth assignments are based on the order in which completed applications are received. Vendors are encouraged to supply their own signage and decorate their booths appropriately. All applicants must have a Commercial General Liability Insurance Policy. A 10’x10’ festival tent will be provided for your tasting area. This space will be shared with a Winery, Distillery or Brewery providing wine/spirit/beer tasting samples. Each tasting booth will be constructed of with an overhead canopy and 3 side walls. There will be no flooring provided unless requested or required by the health department. Each booth will be provided with access to power. Each booth will have two 8’ tables for shared use between Winery/Brewery and Restaurant/Chef. No cooking equipment or storage will be provided. Ice and dump buckets will be provided at staging stations. If providing your own tables, tables must be sturdy and stable, and shall not be used beyond load capacity. Festival signage will be displayed on each tasting booth listing the Restaurant/Chef name, Winery name and the Grower/Producer that has provided products for the food samples. Set up is allowed between 7am and 11am. Tear Down is allowed between 5pm and 8pm (Tear down is not allowed to begin until 5pm and MUST be completed by 8pm). Vehicle access to set up/ tear down is on a first come, first serve basis in staging areas. After unloading at the assigned booth, participants must park in the provided parking area for Vendors. Due to the layout of the site, participants will not be able to park near their booth. More detailed set information will be emailed to you upon confirmation of participation in the event. Participants providing food samples are responsible for monitoring and maintaining proper food temperatures in accordance with health codes. Please see attached Temporary Food Facility requirements. 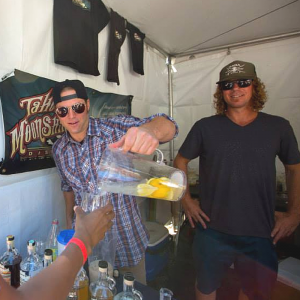 Participants must comply with all state and local laws regarding the serving of alcoholic beverages. Sample the Sierra strives to be a “Zero Waste Event” and we ask that participating vendors help to contribute to this goal by supplying compostable items when serving your food or beverage samples. Please let us know if you would like more information on sourcing compostable items. The sale of samples at the sampling booths is prohibited. 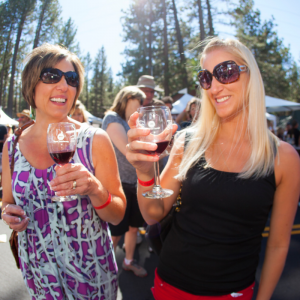 The fee paid to TahoeChamber for the event for a tasting bracelet is the only compensation that will be collected. 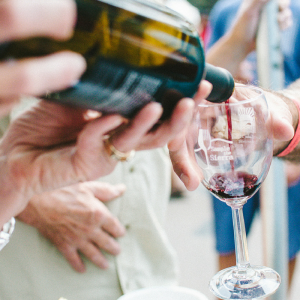 There is a possibility of selling bottles of wine at the event through the South Lake Tahoe Rotary Club. Please contact TahoeChamber if interested in selling a bottle of wine at this event. Sale of any other items must be approved by the TahoeChamber. Fill out the form below to apply as a vendor for Sample the Sierra. Download Winery/Brewery/Distillery application and mail or email to participate.